Cables are a great way to warm up in winter and Amanda Crawford’s gorgeous alpaca Seraphine Jumper will keep you cosy. For the party season, why not try Emma Rowlstone’s fun Stella Sweater, with a touch of sparkle, or Marie Wallin’s Chablis top with lace and beads. 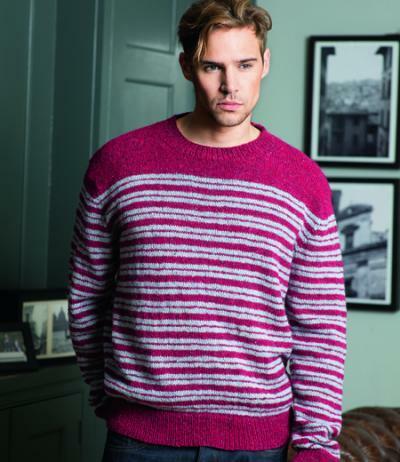 For the men in your family how about Todd Gocken’s Brecon Sweater? It’s a simple classic they’d love, and, thanks to its seamless, set-in sleeve construction, you should find it interesting to make as well – a gift for the knitter as well as the recipient! 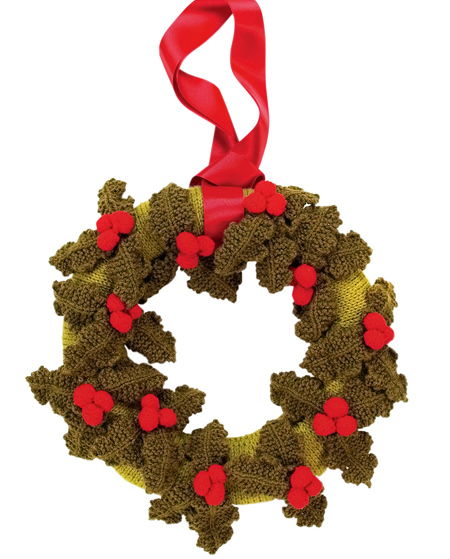 If you’re seeking a decoration to knit, how about our rustic stocking (p52) or holly wreath (p50)? Many people like to use the holidays to help others less fortunate than themselves. 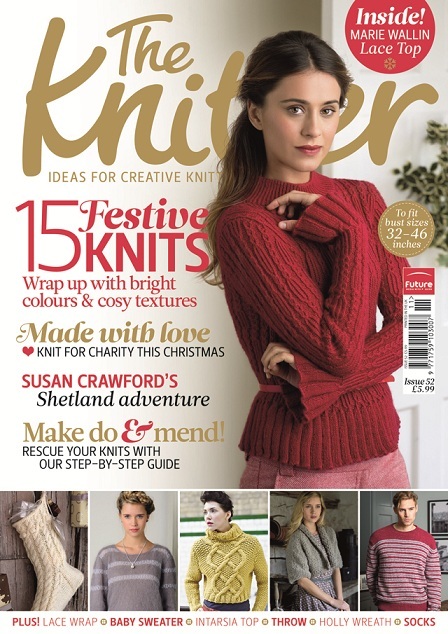 If you want to knit for charity we’ve some great options to get you started on p64. Whatever you’ve got on your needles this festive season, remember that a handmade gift, given with love, will hopefully always be treasured. But if the worst comes to the worst, an IOU is almost as good!